Wilco's New Album: Love The 'Whole' Thing The critically acclaimed sextet shows no signs of slowing down, as The Whole Love represents a new peak in its members' creativity. 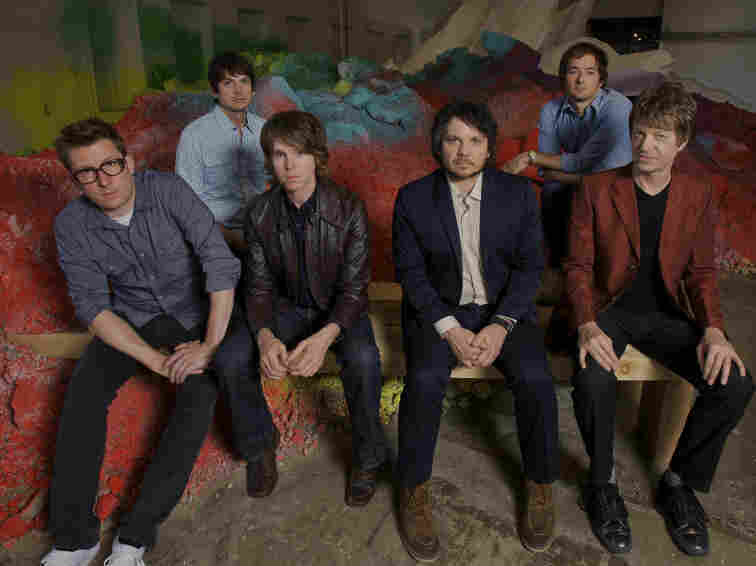 Wilco, from left: Mikael Jorgensen, Glenn Kotche, Patrick Sansone, Jeff Tweedy, John Stirratt, Nels Cline. Usually, the whispers start after rock groups have been around for a while, as die-hard fans begin to worry about their beloved band getting stale. Despite its incredibly long run, Wilco has escaped that fate and managed to stay fresh since 1994. 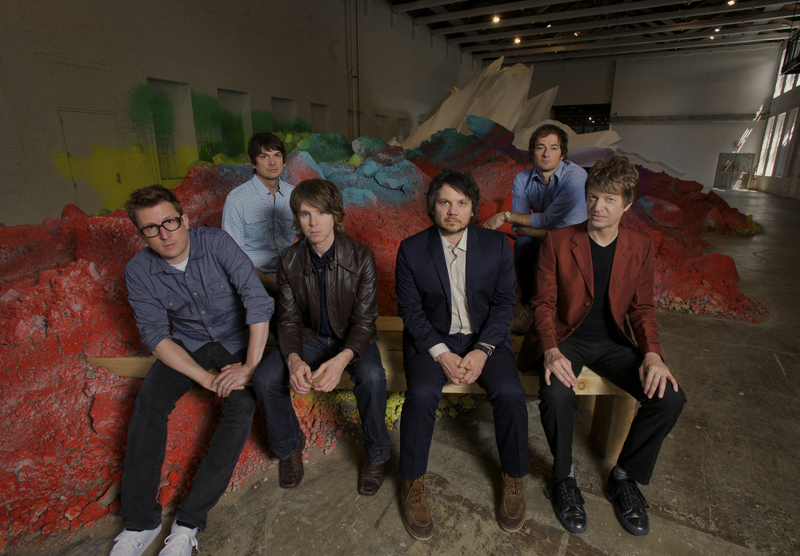 It just released its eighth studio album in 17 years, and the first issued on Wilco's own dBpm Records label. The Whole Love represents a new peak for the critically acclaimed sextet. The new songs on The Whole Love suggest that Wilco has somehow found another gear — no small feat considering the band's output and its touring schedule. "Performing the old songs four or five nights a week wears a deep path in a musician's psyche," singer Jeff Tweedy says. "It's a little like the GPS barking turn-by-turn directions for a route you know by heart. Sometimes, to uncover genuinely fresh ideas, you need to break away from those patterns." Tweedy says that before the band began work on The Whole Love, it took some significant time off. Wilco didn't tour for most of the second half of 2010, which is the longest break from touring that Tweedy has had in his career. Right away, the first track on The Whole Love, "Art of Almost," sounds like a recharge. It's got some of the musical ideas that drew Wilco away from straight-ahead rock on its last few records — experiments in extended jam-band-style improvisation, electronic squiggles and tense contemporary-classical orchestrations. But this time, those elements are cranked up a few notches and more fully woven into the compositions. "Dawned on Me" perfectly represents this new improvisational direction: Wilco starts with a lovely Beatles-inspired melody, which then steamrolls into a jarring noise-assault guitar solo. There's a whole lot going on inside of The Whole Love. The pop refrains are poppier, and the experimental lunges are more dramatic than before. Some of the energy could be attributed to the band's hiatus, but some of it sounds like six incredibly talented multi-instrumentalists getting comfortable enough to throw any wild notion into the spacious mix. Starting with what are often fairly conventional songs, these musicians use gestures, large and small, to radicalize the tunes from the inside out, transforming simple, declarative lines into audio objects of wonder.